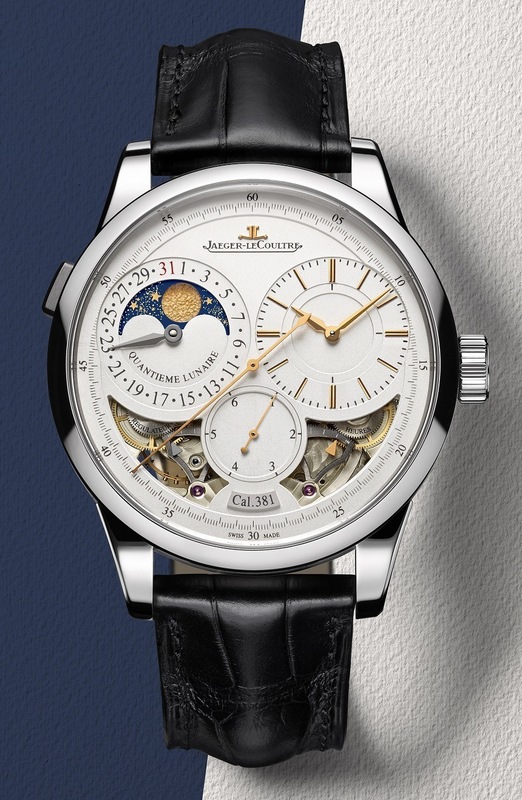 It has been professed to me on more than one occasion that “the Duomètre is my grail watch.” Depending on who you are, Jaeger-LeCoultre probably makes some timepiece that is very high on your “dream watch” list, and if you are a Duomètre person there is a relatively quiet new release at SIHH 2016 that you’ll rather enjoy. 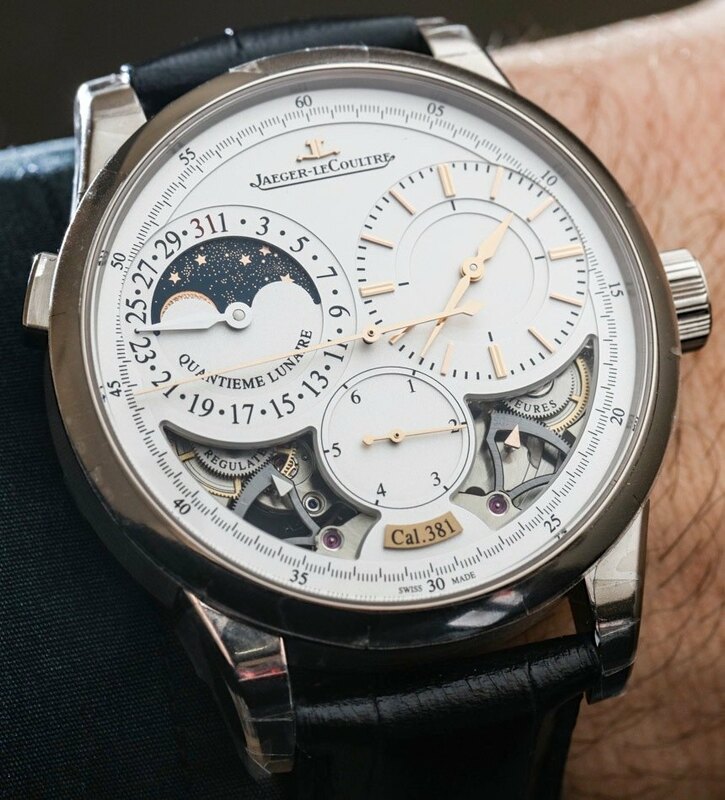 For 2016 we have the Jaeger-LeCoultre Duomètre Quantième Lunaire in 18k white gold with this new reference 6043420. 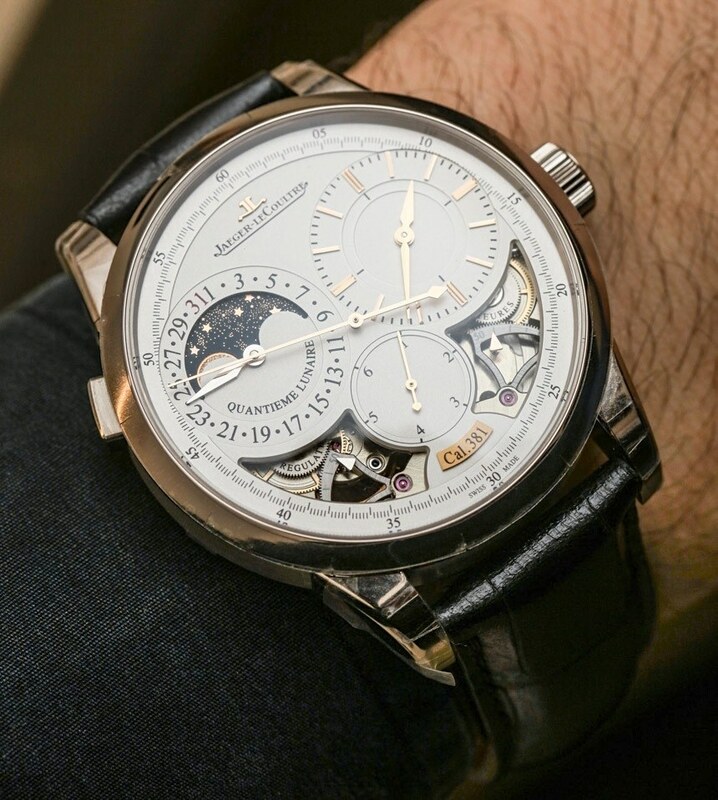 Aside from the semi-open dial now being offered in 18k white gold for the Duomètre Quantième Lunaire model, there is a slightly revised dial for the time as well as a slick new disc for the moon phase indicator. This much more impressive moon phase disc in blue and gold calls welcome additional attention to this area and continues a trend for watchmakers to focus on making the moon phase indicator either more realistic in appearance, or just more interesting overall. A laser is used to make the small stars and the moons themselves are now textured versus mere polished circles. My favorite feature of the Duomètre Quantième Lunaire is one that you might think is funny, but I am just now discovering it for some reason. Either this is new or I just didn’t really happen to bother noticing until now – but I am glad that I finally did. 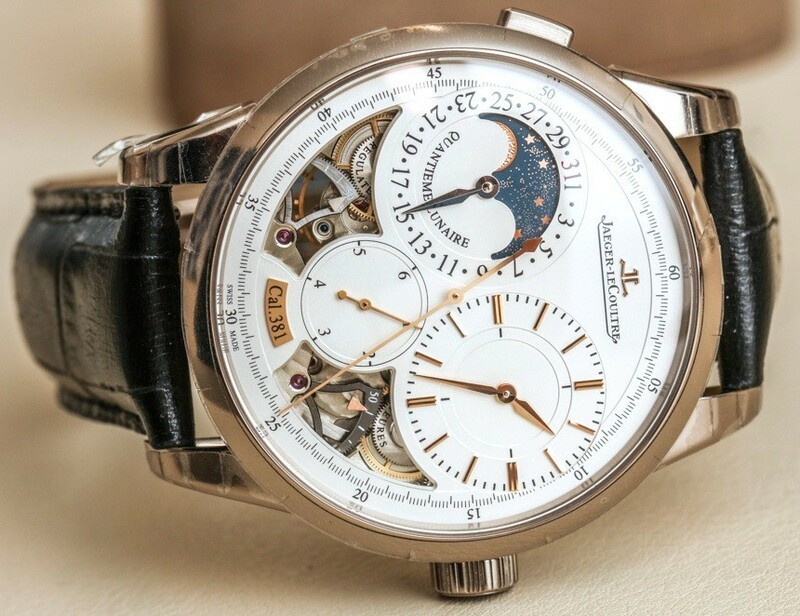 At about 10 o’clock on the case is a pusher that is used to adjust the date (the date dial itself surrounds the moon phase indicator window). Now, pushing this pusher is sheer mechanical joy. I know it sounds silly, but the tactile experience from pressing in and releasing the date adjuster pusher is a watch nerd’s dream. There are numerous examples I can think of that also refer to cathartic experiences we have when pressing or pushing something. Certain things that click or clack, or just have a great sensation when being pressed are similar to how the pusher on the Duomètre Quantième Lunaire case feels. If I was to own this watch the date would never be correct and I would be compulsively pressing the date adjuster pusher all the time. 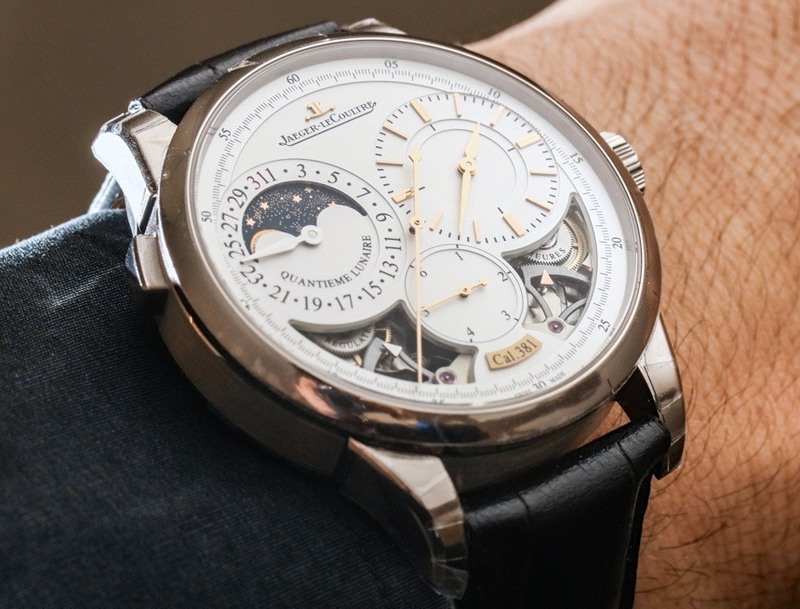 In fact, I bet this feature is a pushable button rather than an inset pusher precisely because someone at Jaeger-LeCoultre also found it amazingly gratifying to use this feature. I can’t imagine how many watches go in for service because of “over pressing of the date adjuster.” If there are more people like me out there it might just be quite a lot. So yes, there might also be people who purchase this lovely watch exclusively because of how nice it is to push the date adjuster… and that would be a totally appropriate reason to purchase a luxury timepiece. 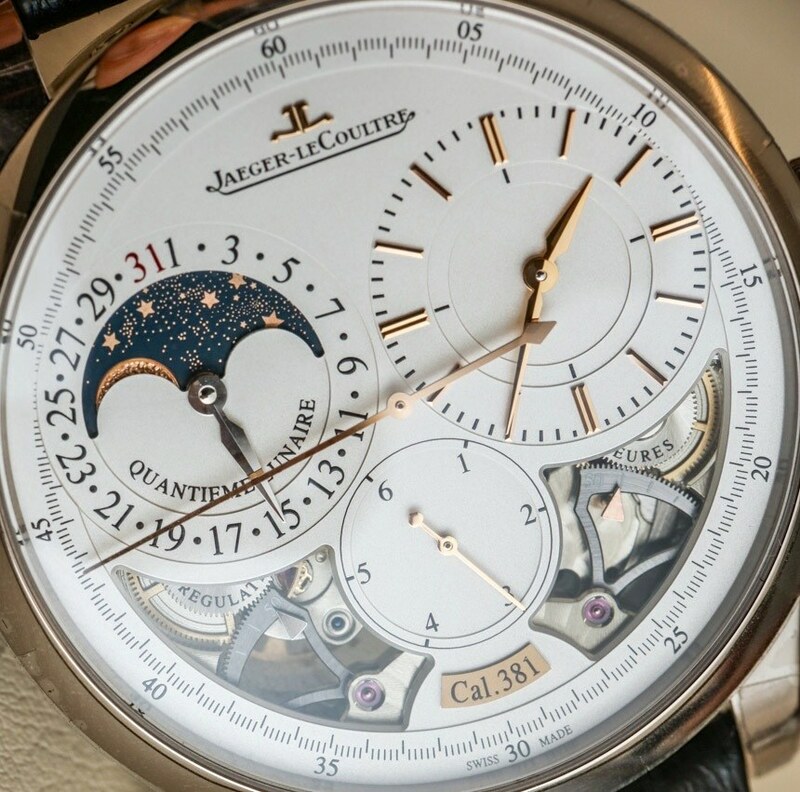 That type of attention to detail is why the Jaeger-LeCoutltre Duomètre collection stands out even among other higher-end Jaeger-LeCoultre timepieces. The Duometre “dual wing” concept is about having a single movement that is separate between telling the time and the other complications. 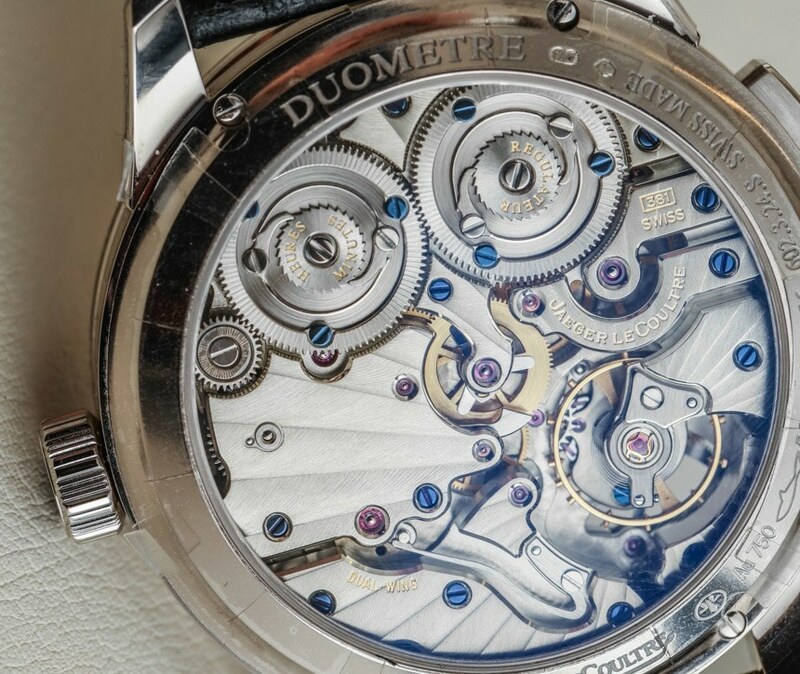 This there is a single regulation system (balance wheel plus escapement), there are two mainspring barrels, and two power reserve indicators. 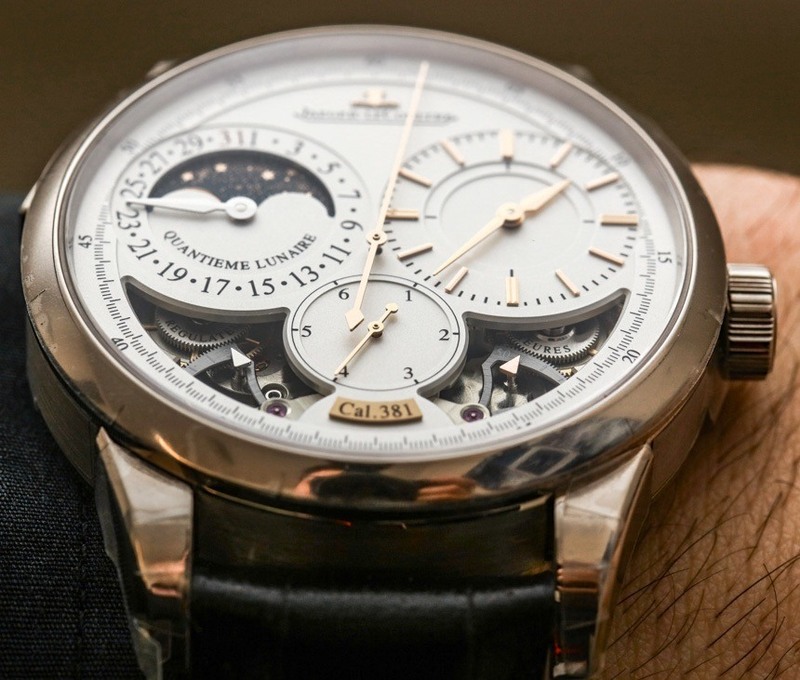 The idea again is to ensure that the system for telling the time isn’t adversely effected by the operation of the other systems such as the moon phase indicator or the date. 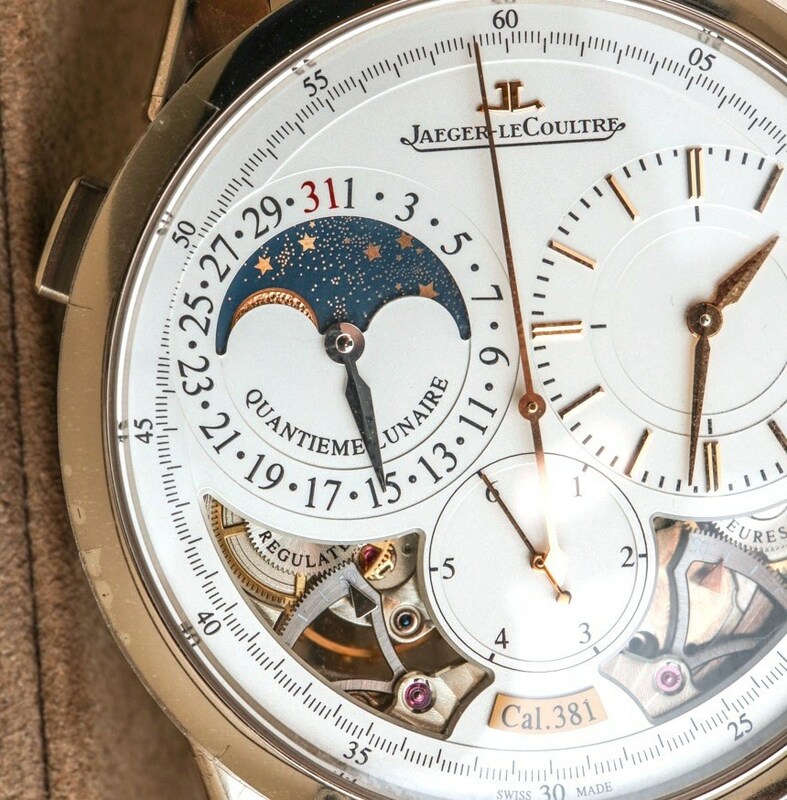 Inside the Duomètre Quantième Lunaire is the Jaeger-LeCoultre in-house made caliber 381 manually-wound movement which is produced in mostly German Silver from 374 parts. It operates at 3Hz (21,600 bph) and has a power reserve of 50 hours. 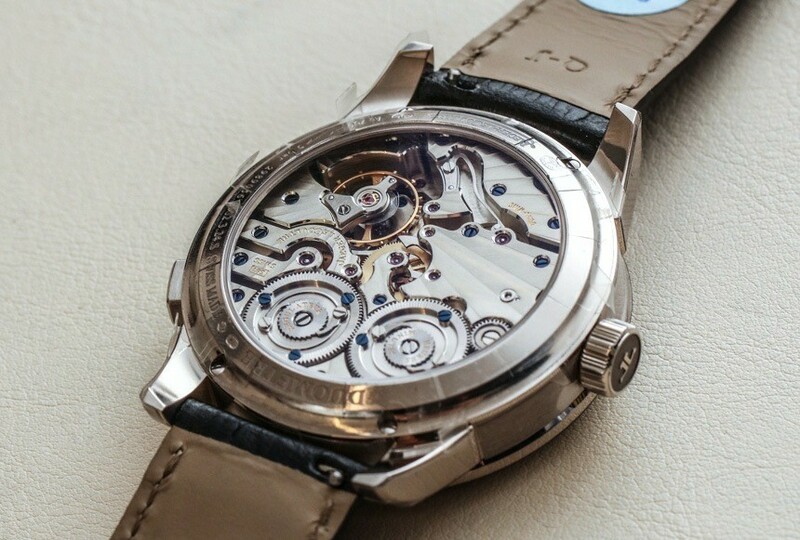 You can see the power reserve indicators in the cut-out sections on the bottom part of the dial with a view to the movement. 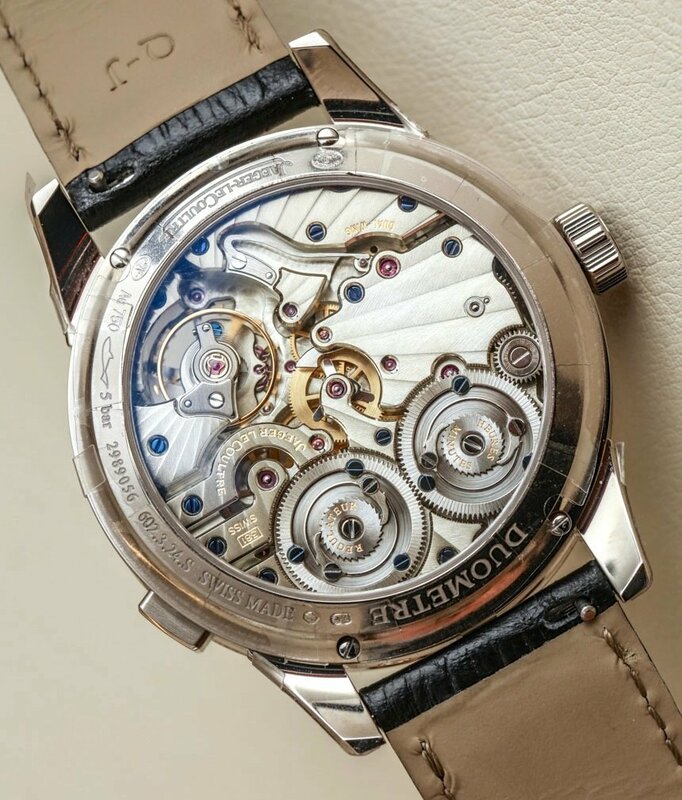 A key element of the caliber 381 is the foudroyante complication which has a “flying” 1/6 of a second hand at 6 o’clock. The main dial is used for the seconds while a subsidiary dial to the right is used to indicate the hours and minutes. 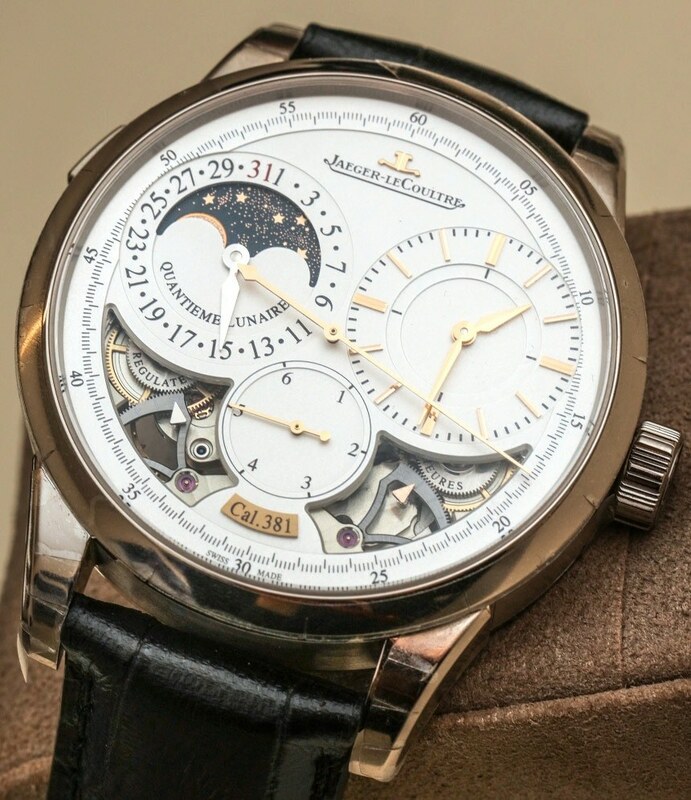 I’ve always felt that Jaeger-LeCoultre masterfully uses materials and finishes on the dials of Duomètre watches to achieve a classic, and extremely high legibility outcome. That remains true in the Duomètre Quantième Lunaire in 18k white gold, which is a triumph of traditional beauty as well as utilitarian functionality. 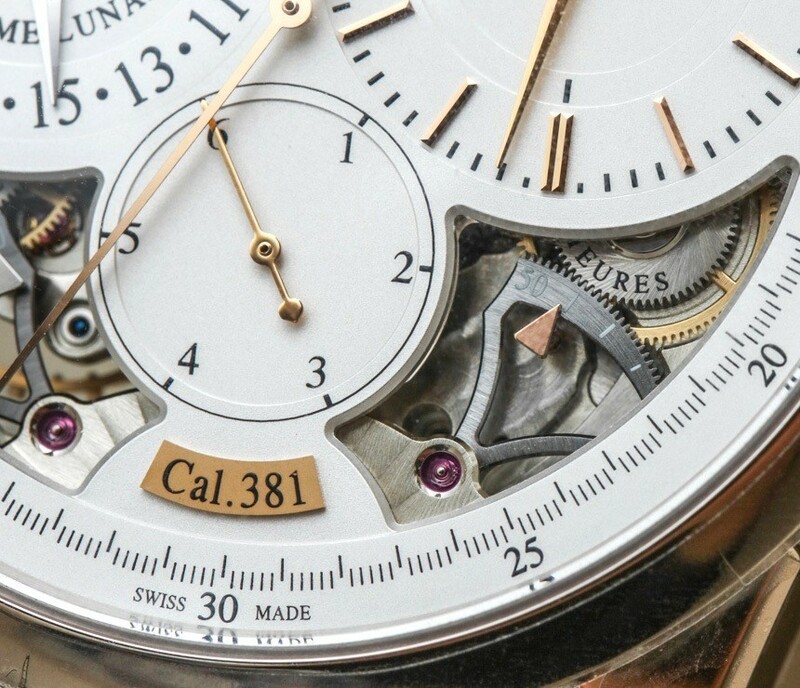 The Duomètre Quantième Lunaire case is 40.5mm wide and 13.5mm thick with 50 meters of water resistance. The watch is super well proportioned and comfortable on the wrist. All else that I could ask for is some luminant on the dial – but this isn’t that type of watch.